However, my opinion differs in that there is a connotation of arrogance to saying “I am a healer.” It implies that those who I offer healing energy to are passive recipients, rather than participants in their own healing. I prefer to think of myself as an energy worker, one who works with subtle energies, Reiki being primary. I facilitate healing by offering one the opportunity to receive the healing that he or she is ready for. There is a dialogue, a give and take, and the recipient must be willing and open to receiving the Reiki energy. 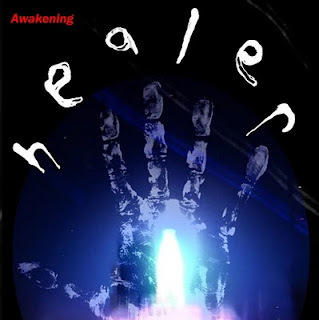 I am not “making you heal” as the word “healer” implies. I am offering healing energy to you, in the hopes that you will receive benefit from the energy. It’s a little like teaching, really. Yes, I am a teacher. That word is completely acceptable by the masses as being one who offers knowledge, and who facilitates another’s ability to assimilate the knowledge. As a teacher, I have this knowledge, these skills, to offer you, the learner. You can decide that you cannot or will not learn what I am trying to teach you. You can decide that I am not a teacher that you can relate to. In that case, you can choose to find another teacher or subject that best fits with your needs. In this role of teacher, therefore, I am more accurately “a facilitator of your ability to increase or assimilate new knowledge”. I can’t make you learn any more than I can make you heal. That part is up to you. I can do my best to make the knowledge clear, to adapt to your unique way of learning so that it makes sense to you. So as a “healer” I am attempting to offer you energy that you are able to assimilate into your own, to then benefit from this energy in the ways that make the most sense to your needs. The problem is in the connotation, rather than the definition here. It sounds arrogant to say that I am a healer. I am a healer in that I work with healing energy. I am not a guru, or one who can “make” you heal if you are not ready to heal, or willing to heal on some level. In another sense, we are all healers – people who recover from illnesses. We heal ourselves, so we are healers. But the word “healer” is taken more widely to mean one who heals other people. I don’t think I do that. I present the opportunity for others to receive healing energy. That I’m comfortable saying. So you won’t find me putting “healer” on my business card. It says Reiki Master Teacher. Reiki Master comes with its own connotations, for I am not a “Master of Reiki” (there’s that guru connotation again). But it’s easily explained that Reiki Master is a level designation that means one has received the proper training and attunements to enable one to teach and attune others. Like having a Master’s degree – it is a definition of training. It doesn’t make you any more holy or genius than anyone else. So to Debra Katz, and to my Reiki student, MD, I say, I am in the practice of working with healing energy. In that sense I may be a healer, but I will not refer to myself that way for the reasons that I don’t want to be mistaken for someone who will heal you. Only you can heal you. I can offer you energy that can help you heal, and will joyfully do so.